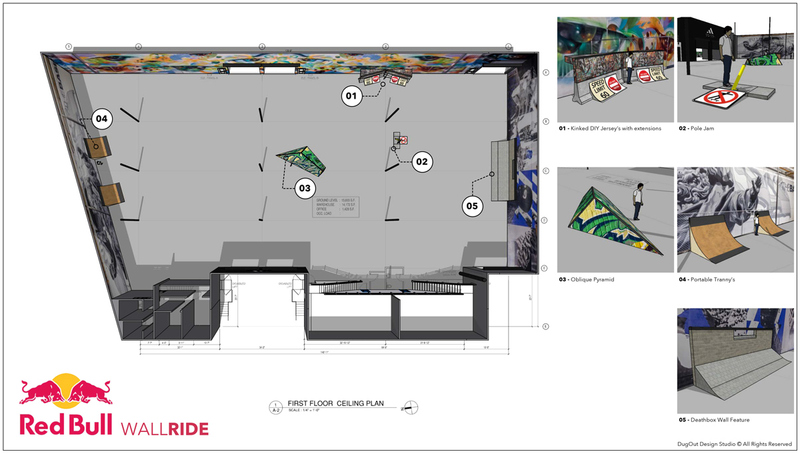 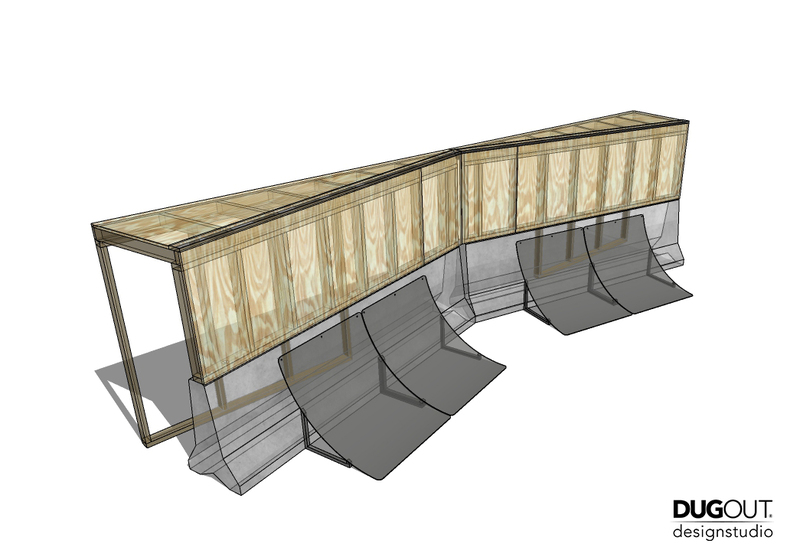 The RedBull team engaged DugOut Design Studio to create unique and fun obstacles for a new WallRide skateboard contest. 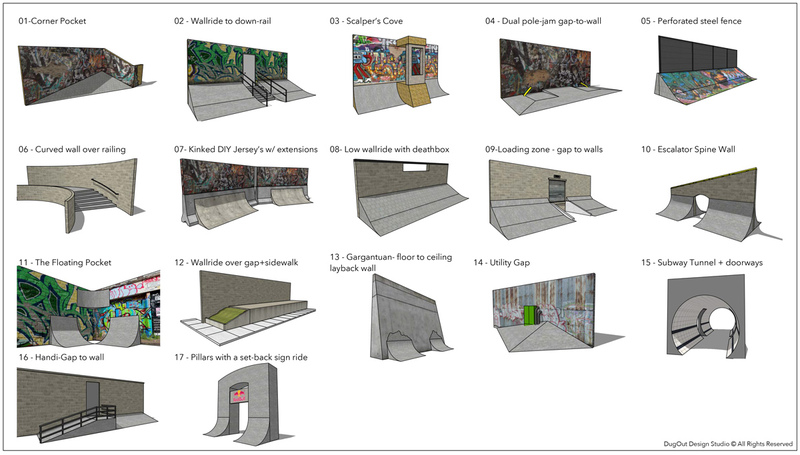 We created several rounds of concepts and ideas, which were eventually whittled down to their top 5 features. 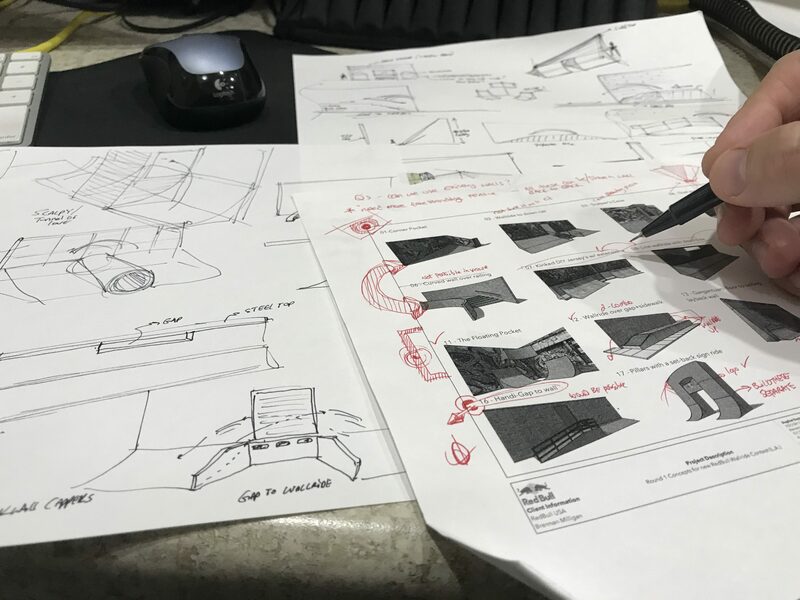 We then created a complete set of drawing details for construction as well as site test-fits for multiple location possibilities. 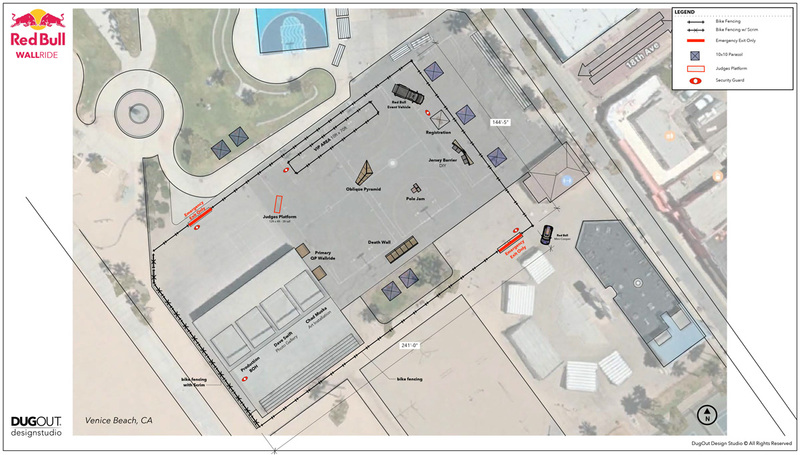 The event was finally set for the basketball courts in Venice Beach California.